Toronto real estate is seeing lower prices, less sales, and more inventory for detached homes across the city. Toronto detached real estate demand is continuing to soften into the winter slump. Toronto Real Estate Board (TREB) numbers show that prices declined for a sixth month in a row. Last year’s record shortage of inventory is starting to look a little more balanced, as frenzied buyers start to disappear. Lower prices are the expected reaction to declining sales, and an increase of inventory. The benchmark price of a detached home is up, but tapering gains quickly. The benchmark for a detached home across TREB was $915,600 in November, down 0.60% from the month before. This represents a 4.04% increase compared to the same time last year. The price of a benchmark detached in the City of Toronto proper was $1,088,200, literally unchanged to the dollar apparently. This represents a 2.86% increase compared to the same time last year. These are actually pretty solid gains, especially considering that Ontario’s CPI has dropped to 1.3%. However, it’s significantly below the massive double digit gains we were experiencing at the peak this spring. In terms of average sale prices, we’re seeing those decline significantly. The average sale price for a detached in TREB was $996,527, a 5.8% decline from the same time last year. Breaking that down, the 416 saw an average detached sale price of $1,276,184, a 5.1% decline from the year before. The 905 saw an average detached sale price of $898,605, a 6.2% decline compared to last year. Toronto real estate saw a significant decline in sales, but detached units were over double other segments. The whole TREB region saw 3,131 detached sales, a 19.1% decline compared to last year. Breaking that down, the 416 saw 812 of those sales – an 18.9% decline compared to last year. The 905 saw 2,319 of those sales, a 19.2% decline. You can’t really make a conclusion about sales without looking at listings however. People have can stop complaining about a lack of detached inventory. New detached listings across TREB reached 7,420, a 45.23% increase compared to the same month last year. Active detached listings, which are the total number of listings remaining at month end, reached 10,600. That’s a massive 146.74% increase compared to last year. To give some perspective, there was more detached homes for sale in Toronto, than there was total inventory in Vancouver. It’s a lot more inventory than last year, no matter how you cut it. Two things worth noting in this report, the rise of inventory and the decline of sales. Last year the Greater Horseshoe (including Toronto) started hitting record lows of inventory. This almost certainly meant we would see a spike in inventory. Although more than doubling in the detached segment is a very big jump. Even though it was expected, a significant decline in sales normally doesn’t accompany a rise of inventory. Lower sales and more inventory naturally weakens prices, as competition decreases. As long as this trend continues, it’s difficult to see prices resume a climb. Can you please explain why condo prices are going up, while detached prices aren’t? Because people are dumb? This dispels the myth that Toronto is running out of land, otherwise detached units would be climbing the most for potential assemblies. In Vancouver they’re at least seeing that, meaning the “shortage” of land argument has some weight to it. In Toronto, we’re not seeing anything close to that. Condos are a lifestyle choice. 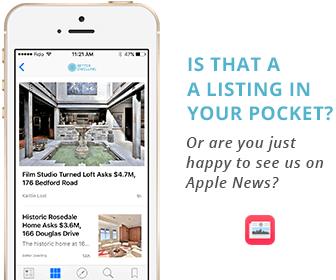 Some people would happily prefer to pay a premium, in order to ensure to ensure they get the type of home they’re looking for. Some people just don’t want the maintenance issues that come with a detached home. Why are condos in Manhattan more than in the Bronx? Location. I’ve lived ‘in toronto’ right off the subway line, Yonge and Dundas door-to-door in 20 minutes (if the TTC is working)…this isn’t some BS post by someone living in Etobicoke or the Scar…location does matter. It is such a hassle getting downtown sometimes. When I was at Richmond and Jarvis, still ‘outside’ in some peoples view, I would bust over to China town, hit up Y&D, go to the market, grab a pint and come home all while walking around and having a blast…then I moved outside and missed it ever since. If I was under 40, worked in the core and got what I needed out of it why would I pay $1.5 million to like in the West or the East when I just want to be downtown? Housing is relative, you get out what you want. If Toronto keeps going the way it is, those condos will be gold in 15 years…you won’t be able to get a bachelor for under $750000. You know what’s gold? Actual gold. Condos are a fugazi and in 15 years you can buy baby boomer houses at 10c to the dollar. And if you think the Chinese will prop it up for you, take a look at their population distro. Why would you be able to pick up baby boomer houses in 15 years for 10c to the dollar? In 15 years there will be another million people living in the GTA which will put more, not less pressure on housing prices. The rise of the ‘investor class’ will also continue unabated – individual and institutional investors that buy multiple properties over time to rent them out thus shrinking the pool of housing available to buy. Bob, you will not be able to purchase detached homes 10c on the dollar in a decade or more. They’re simply not building more of those types of properties. They are gearing development to meet greater density, which means only townhouses (if any freehold), stacked townhouses, mid- and high-rise condos in Toronto. The price of detached will continue to rise in the long-term. Condos are skewed because they are the primary New Starts and the Chinese and others are buying and flipping pre-comstruction to avoid the measly 15% foreigner’s tax. These are only detached homes in the suburbs falling. I can assure you, nothing is getting cheaper in Toronto. 92% of Toronto detached homes bought and sold in 2017 where are a loss. Assumptions 3.25% Land transfer and 4% +HST Real Estate Commissions. OSFI will wipe out all 2016 gains within 6 months take you back to Dec. 31, 2015. The information is public why not post it better dwelling? That’s a relatively meaningless stat. Anybody that bought a detached house in 2017 and then sold that house in 2017 is an insignificant minority of the market. People buy homes to live in and plant roots, not to sell within a year of buying. The only people that buy and sell a home within a year are flippers, speculators, or people way in over their head financially. Your market prediction is wel… based on speculation. Nobody knows what the impact OSFI will be. Everyone that bought lost value to yes it did get cheaper in Toronto. It is what you call a proxy and a meaningful stat to the comment I was replying to. This whole market is based on speculation! We will see year-over-year declines in prices in the first quarter of 2018, simply because the 2017 market was in a frenzy. 2018 will spell a re-balancing of the market. It will pick up again and perhaps crest 2017 values in 2019. Clearly you are not familiar with the market. 10% drop from Decemeber lows MINIMUM by March, especially for homes over a mil. What is proper level of supply ? A balanced market used to be 6 months of supply. We got under one month in May neighborhoods. Now we are 3? And some are at 6. In some Vancouver area Detached inventory is over 10 months of supply. 146% is a lot but don’t forget the insanely low levels of last fall – that lead to huge price spikes in Q1 2017. Some perspective is required. But reporters Love Headline grabbers, Click Bait is what they call it. Correct. The inventory levels last November were historically low which make current inventory levels seem high but they’re in line with the average of the past 5 years. 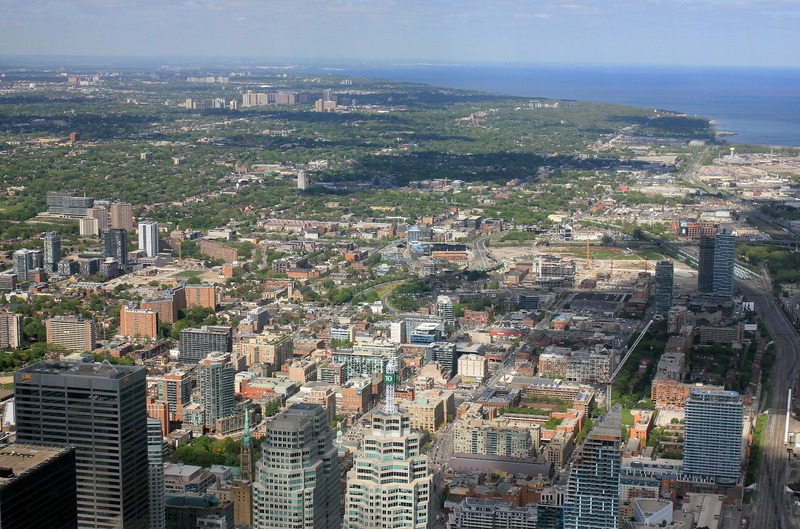 The year 2016 thru the first quarter of 2017 were an aberration in Toronto real estate, so comparisons to that time period alone skews perspective. 1) Catch up the run-up in housing price for last few years. Realosphy says 3 months is normal supply with no price pressure, and anything over 6 months can put downward pressure on prices as buyer’s have control. Look at detach in York Region for example. Anyway, condos are just the last stage of speculation in the game. Developers have said majority of new units are bought by “investors”. Majority aren’t bought by family or regular people for domestic use because they can take 3-5 years to complete. Majority of condos in Toronto now run cash flow negative, even with the recent run up in rent prices. Amateur landlords run the show here, after condos are flipped, assigned and closed many times. Some landlords are reporting challenges in the rental markets, despite the low vacancy rate. It seems the pool of “desirable” tenants has gotten smaller, as rents went up 20-30% in the past year or so. Amateur landlords love to brag about the rent increases, but little do they know, their tenants income didn’t magically go up 20-30% to cover the increase cost. So their chance of default is now higher and their ability to pay rent comes with more risk. How do you know that the “majority” of Toronto condos are cash flow negative? Unless you know the size of the downpayment, you cannot know what a property is cash flowing. To assume that property investors are putting down 20% is archaic thinking. It hasn’t been possible to put down 20% and get positive cash flow on low rise properties in over 5 – 10 years. So the same may be true for condos now. Looking at the treb chart for the last four years last November does not really look much like a historic low,that’s just treb trying to justify a 37% increase in listing this year.remember where the news comes from. Tommy, the math is pretty simple and easy to figure out. A quick look at Realtor to see what market rent is in the building, then on mongohouse for recent sold. You can even get the maintenance fees, figure out fire insurance, mortgage cost and property tax estimates. You are right that we can’t know everyone’s exact down payment, but investors like to put the least down to maximize ROE. Like you said, even using traditionally 20% downpayment these condos struggle to run cash flow positive. You have to subsidize with your own money, while tenant has no liability or responsibility for the unit. What this shows is investors are speculating to hope the price of the condo goes up. Because no money is made on cash flow, unless you want to tie up a lot of capital in downpayment. Then you will have less interest to deduct off your income and likely pay higher taxes. Investment spectrum is like this, in my opinion. At the extremes of both ends, i see bubbles and speculators. The biggest increase was in central Montreal, where condo prices rose … measure of house prices, released.